The discovery and study of Jupiter and its moons, Ganymede, Castillo, Io, and Europa have unraveled the mysteries that surround our universe. The heliocentric model which was one of the most revolutionary discoveries in astronomy was made by Galileo through observation and data collection of Jupiter moons. The moons of Jupiter consist of some of the most volcanic activity in the solar system along with promising potential of life. These discoveries have not only increased our knowledge about the universe but also pushed us to innovate and invent technologies to aid these discoveries. This website will explore Jupiter and the wonders of its moons along with the tools that were used to aid these discoveries. It will also contain some of the most up to date discoveries about Jupiter and its moons. The following section will outline each of Jupiter's largest moons and some interesting facts about them. The section following will go into more detail about how these discoveries were made and the tools used to aid them. With a diameter of 5,286 km and a mass of 1.4819×1023kg Ganymede is not only the largest of Jupiter's moons but also the largest satellite in our Solar System. Ganymede is larger than the planet Mercury and is ⅔ the size of Mars.In 1996, the Hubble Space Telescope discovered oxygen in Ganymede's atmosphere which brought a lot of questions with it. The mission led to the inquiry of potential salty liquid oceans and possible life. Since then there have been a countless number of discoveries made about this moon, a significant one being Ganymede’s composition. This large moon is made up of three main layers: a metallic Iron Core, a rocky mantle, and a combination of rock and ice that makes up the crust. The surface of the moon also contains a subsurface ocean which suggests that the moon had salty oceans beneath its layer of ice. Figure 1: Courtesy of NASA/JPL-Caltech. Europa was known to be covered by an icy crust more than 150 km deep and a rocky interior.1 NASA’s Galileo Mission explored the Jupiter system from 1995 to 2003. This mission shed light on its icy crust and what's beneath it. It discovered an entire ocean under Europa's thick crust which sparked questions about life on Europa. This water may have retained its liquid form due to tidal heating from the core. More recent studies have even suggested that the lines visible on Europa's surface may be a result of salt rising from the ocean. This existence of this ocean suggests that there may be life on Europa, since we know the characteristics of an ocean can provide a habitable environment. 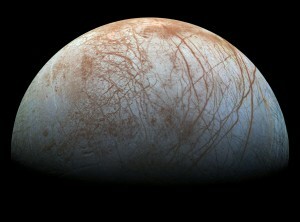 One difficult question to answer is the potential energy source for microbial life on Europa.1 The ice is too thick to permit photosynthesis to occur underneath, therefore other pathways have been suggested.1 One alternative theory suggests that a radiation-driven ecosystem could exist on Europa.1 Many missions have been planned to further investigate potential life on Europa. Io, Jupiter’s third largest moon, displays multiple similarities to Earth’s moon. In addition to its radius being only slightly larger at 1131.7 miles, its topography and density (3529 kg m-3) also suggest a similar interior composed of silicates, although Io’s interior likely also contains heavier metals.7 Io has a slight elliptical shape, and is covered with sulfur, sulfur compounds, and silicates. Many of the observations researchers have made about Jupiter’s moons have come from the spacecraft missions designed by NASA to specifically explore the planet, or gather information on a fly-by. 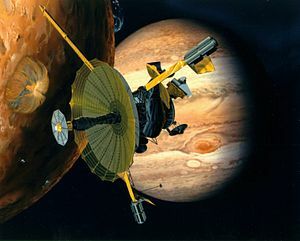 These observations include Doppler measurements, photography, and even launching probes into Jupiter's extreme atmosphere to take readings.8 Overall these spacecrafts are responsible for gathering information that would otherwise be inaccessible by other means, and for giving researchers the data that allow conclusions to be made about its satellites. 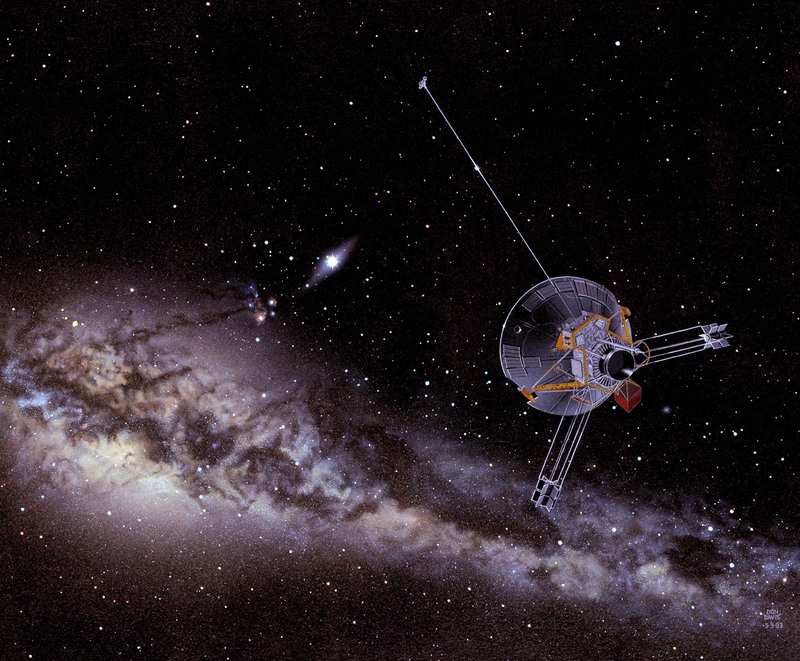 The many missions designed to explore Jupiter and its four main satellites began in March 1972, when Pioneer 10 was launched from earth. 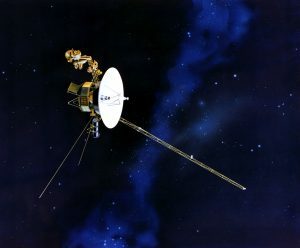 The spacecraft’s mission was to make observations on Jupiter, which included exploring its physical characteristics, and its satellites, specifically Io.8 Some key work done by Pioneer 10 was an S-band (a portion in the microwave band of the Electromagnetic spectrum) radiation occultation measurement. The important finding that resulted from this measurement was that Io contains an ionosphere, and therefore a neutral atmosphere. Up to this point evidence had been inconclusive as to whether or not Io had an atmosphere. Pioneer 10 gave a value of the pressure at Io’s surface to be around 10-8 to 10-10 bar.9 In comparison, the pressure at the surface of the earth is roughly 1 bar. The discovery of an atmosphere on Io is significant because it is one measure scientists use to determine the present or past composition of a satellite, specifically whether or not it contains a suitable environment for water. Voyager was launched sixteen days before Voyager 1, but embarked on a trajectory that took it longer to reach Jupiter.14 The images captured by Voyager 2 were used to both confirm and support the data collected by Voyager 1.14 On Io, changes were observed in regards to volcanic activity, eruptive clouds, and plume structure. The lack of evidence of meteorite impact was used to identify Europa. It also contained a series of bright and dark linear features that were not understood at the time.14 Ganymede was observed to have at least one portion of heavy craters, while Callisto seemed to be entirely covered in craters.14 This data is important because one method that is used to determine age of the satellites is by comparing the amount of craters. Typically the more cratered a planet or satellite is, the greater its age. Galileo began its mission after launching in 1989 by first heading to Venus, then returning to earth to slingshot towards Jupiter. This technique is called gravity assist, and is used to make the spacecraft’s journey quicker and easier.15 Again what was seen with the Galileo mission was an increase in resolution. This allowed for novel observations, and better clarification on existing data. Perhaps most interestingly, Galileo gathered more information regarding the volcanic activity on Io. Explosive volcanic activity was discovered at four previously unrecognized locations.20 Also, the 100 kilometer plumes produced by the volcanic activity were better characterized based on data from a five year observation period.20 Although there is consistent volcanic activity on Io, this activity appears to be localized. Therefore at least 83% of Io’s surface was unchanged throughout the course of the Galileo observation. Overall, the space missions delving into the Jupiter system have provided us with a lot of raw data about Jupiter's moons. All of this data has allowed scientists to make conclusions about the physical nature of each moon. 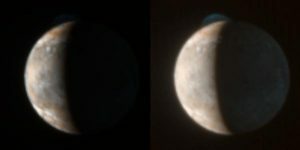 Observations of Io provided evidence of the first volcanic activity in the universe, beyond earth. Through surface observation and scanning technologies, it was determined likely that Callisto, Ganymede, and especially Europa contain subsurface oceans of some kind. Advancement of technology is the common theme throughout the Jupiter space exploration missions. As technological advances are made, more accurate and diverse data can be collected. The search for life beyond Earth is ongoing, and through all the years of research we have yet to discover a source that hosts life as we know it in present day. We know that for life to exist it requires three components: liquid water, an energy source (typically a star, orbiting within the habitable zone), and organic material. Jupiter is approximately 779 million kilometers from the Sun, well outside of what we call the habitable zone, so why are we investing so much time and effort into examining its’ moons and their possibility for even microbial life sources if there is no energy source? The discovery of their composition and the existence of subsurface oceans tells us that their cores exude enough heat to preserve the water in its liquid form. 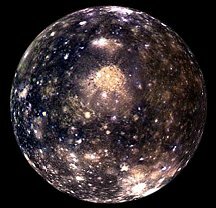 Although we have thus far been unable to assess the water sources we know exist on Ganymede, Callisto, and Europa, scientists have ruled out the possibility of Callisto being a hospitable environment as a result of its ocean depths being packed with ice and rock, blocking heat circulation. While scientists dedicate their research careers to finding life within our Solar System, they are also expanding their search to stars within the Milky Way Galaxy to discover other Solar Systems. Just recently in February of 2017, TRAPPIST-1 was found to host seven Earth-sized planets orbiting it.29 All seven planets have an orbital period shorter than two weeks, and while this may indicate that these planets are much too close to the energy source in order to be habitable, this dwarf star does not generate anywhere near the energy of our star, and therefore indicates the potential for life. With TRAPPIST-1 having a mass that is 8% of the Sun’s, and a roughly similar size to Jupiter, every planet is within the habitable zone and suggests the possibility of surface liquid.29 With TRAPPIST-1 only 39 light years distance from Earth, and the launch of the Hubble’s scientific successor, the James Webb Space Telescope, which is set to launch in late 2018, we soon may know much more about this Solar System. The many scientific discoveries over the last 150 years tell us there is the possibility for life in our Solar System and our galaxy, but the Milky Way is just one of 100 billion galaxies. Typically, this would lead one to believe that the chances of life beyond Earth is exponentially large. However, this may not be the case as research indicates that only one in ten galaxies can support life, a result of something called gamma ray bursts.30 These stellar explosions would regularly wipe out all possibilities of life. Although there is a chance that microbial life may survive a gamma ray burst, more complex life forms would not. Additionally, in spiral galaxies such as our own, supernova explosions that occur in the galactic centers create a very dangerous, inhospitable environment, whereas the more diffuse spiral arms of the galaxy are more likely to host life.31 Earth itself is 27 000 light years from our galactic center, on the edge of what would be considered a hospitable environment. So despite the universe being unimaginably large, the existence of life such as our own may be much more limited than previously expected. However, an idea that is currently being explored is that life may form out of components beyond the three that we are know of. For example, rather than liquid water as is found on Earth, the liquid methane-ethane lakes of Titan, Saturn’s moon, could possibly host life. As technology continuously advances we are consistently becoming closer to the discovery of life beyond Earth, one of the most exciting prospects of astronomical research. 1 Chyba, Christopher F. "Energy for microbial life on Europa." Nature 403.6768 (2000): 381-382. 2 Hall, D. T., et al. "Detection of an oxygen atmosphere on Jupiter's moon Europa." Nature 373.6516 (1995): 677. 7 Ruiz, J. Stability against freezing of an internal liquid-water ocean in Callisto. Nature 412, 409 - 411 (2001). 9 Kliore, Arvydas, et al. "Preliminary results on the atmospheres of Io and Jupiter from the Pioneer 10 S-band occultation experiment." Science 183.4122 (1974): 323-324. 10 Null, G. W. "Gravity field of Jupiter and its satellite from Pioneer 10 and Pioneer 11 tracking data." The Astronomical Journal 81 (1976): 1153-1161. 11 Smith, Bradford A., et al. "The Jupiter system through the eyes of Voyager 1." Science 204.4396 (1979): 951-972. 14 SMITH, BRADFOD A., et al. "The Galilean satellites and Jupiter: Voyager 2 imaging science results." Science 206.4421 (1979): 927-950. 16 Moore, Jeffrey M., et al. "Large impact features on Europa: Results of the Galileo nominal mission." Icarus 135.1 (1998): 127-145. 18 Ruiz, Javier. "The stability against freezing of an internal liquid-water ocean in Callisto." Nature 412.6845 (2001): 409-411. 19 Moore, Jeffrey M., et al. "Mass movement and landform degradation on the icy Galilean satellites: Results of the Galileo nominal mission." Icarus 140.2 (1999): 294-312. 20 Geissler, Paul, et al. "Surface changes on Io during the Galileo mission." Icarus 169.1 (2004): 29-64. 23 Spencer, J. R., et al. "Io volcanism seen by New Horizons: A major eruption of the Tvashtar volcano." Science 318.5848 (2007): 240-243. 24 Grundy, W. M., et al. "New horizons mapping of Europa and Ganymede." Science 318.5848 (2007): 234-237. 25 Carr, Michael H., et al. "Evidence for a subsurface ocean on Europa." Nature 391.6665 (1998): 363-365.